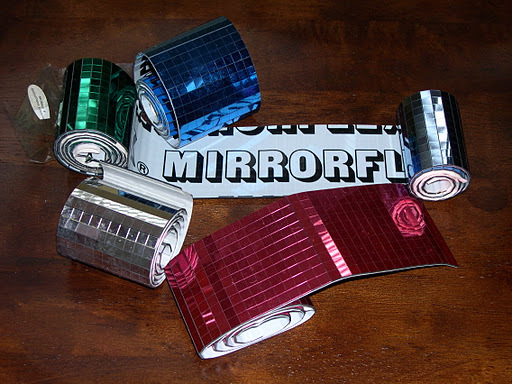 On one of my many scavenger hunts last week I found a bag with all of these rolls of cool Mirrorflex tiles. Each tile is about 1/4 inch square and is really sticky. I searched online but it looks like this company is making large sheets of this for walls and back-splashes..which would be cool. I’m not sure how it will show up in an art quilt but I’m glad to have it in my bag of tricks.